Joining us is Elaine Queathem, the founder of Savvy Coders . Savvy Coders began with a vision of reaching out to people traditionally underrepresented in the technology field. Partnering with several non-profit groups, they endeavored to give back to communities by increasing tech talent and expanding business opportunities. They designed a comprehensive curriculum that would allow students to expand their professional horizons within 7 weeks. In 2009, Elaine was working for a small ... See More software technology company and became acutely aware of the shortage of qualified programming resources which were essential for a small company to grow and thrive. Now, several years later, she helps people develop those important and sought after skills. Her firm, Savvy Coders, has a passion for teaching technology skills to underserved communities. Offering coding and programming training in St. Louis, Nashville and Chattanooga, Savvy Coders believes that knowing how to code is more than just a cool hobby. Elaine's background with coding and how she came to the idea of SAVVY CODERS. More about Savvy Coders support of underrepresented people in tech. What is necessary to support the success of new coders. 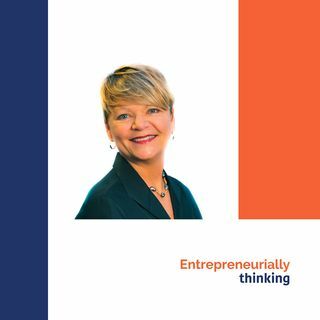 Lessons for other entrepreneurs from Elaine's experience.